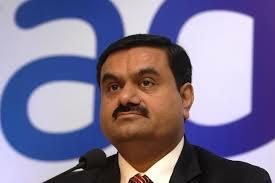 Is it advantage Adani Group, one of India’s largest, in Australia? It would seem so, if latest reports coming in from Melbourne, Australia are an indication. Amidst opposition to the concessional loan "offered" to the Adani group for building infrastructure, trade unions appear to divided on the crucial issue. Says South Asia Times (SAT) News Desk, in an email alert to Counterview, opposition to the Adani Group’s Australian proposal for getting a $900 million concessional loan for its planned rail link to the Carmichael coalmine in Queensland is growing, though local unions are supporting the loan. The heat now has been generated by the Australian workers peak body, the Australian Council of Trade Unions (ACTU) Secretary Sally McManus opposing the loan. McManus added that workers’ conditions should be protected if the mine went ahead and declined support for the mine even without a concessional loan, declaring there were other concerns that needed to be addressed, reports The Australian. 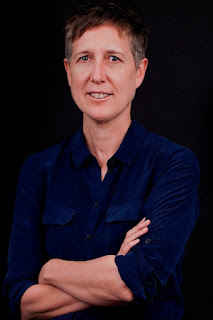 Earlier, the South Australian branch of the Australian Workers Union, reports The Australian, has no in-principle objections to taxpayers underwriting the 400km link connecting the Adani mine in Queensland Galilee basin with a coal port at Abbot Point. The controversial Adani coal project which has overcome many legal challenges remains a headline catching news in the Australian media. The pressure of the environment movement against coal project is immense. A recent report in the Australian Financial Review quoting the Australian Conservation Foundation says the Directors of the Northern Australia Infrastructure Facility (they have to give the loan) are likely to be in breach of their duties if they approve the loan face legal action if they make this investment decision. Controversy surrounds ever since the Adani group was offered the concessional loan from the federal government to Adani for mine-related rail infrastructure. Apart from the environmental issues, proponents and opponents of the Carmichael project have made conflicting claims about the project’s profitability and the need for a concessional loan. Market reactions to news about the project demonstrate that investors expect the project to create substantial value for Adani shareholders. Consequently, any concessional loan to Adani would be a waste of taxpayer dollars, it is suggested. Up to $1bn concessional loan has been under consideration by the Northern Australia Infrastructure Facility (NAIF). The direction also requires NAIF to “limit the concessions offered to the minimum required for the investment proposal to proceed”. "Therefore, the key question that NAIF should address is: will the Carmichael project (without assistance) create shareholder value for Adani? ", says The Australian, adding, "If the answer is yes, it’s in Adani’s interests to proceed with the project and do so as quickly as possible, even without government assistance. If so, any rationale for government assistance disappears."